Srinagar, Mar 4 : A local militant who was killed along with his associate was buried amid pro-freedom slogans at his native village in Sopore area of north Kashmir on Monday. Reports said that a large number of people from Brath Kalan and its adjoining areas and other parts including Zainageer, Baramulla, Dangiwachi, Rafiabad and Handwara assembled and offered funeral prayers twice for the slain militant Ishfaq Majeed Mir at his ancestral Brath Kalan village. The people shouted pro-Pakistan and pro-freedom slogans as they marched with the body of the slain ahead of his funeral. He was later laid to rest at his ancestral graveyard at Brath Kalan. 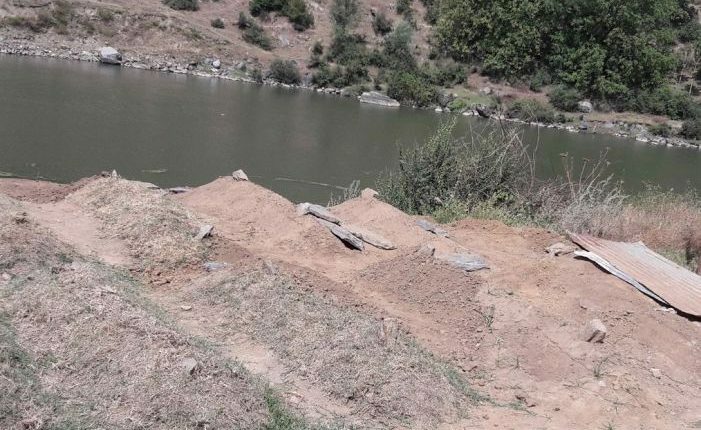 Meanwhile, official sources said that Kaleemullah, the top LeT commander of Lashkar-e-Toiba (LeT) outfit, was buried in Rajwar area of Handwara in north Kashmir’s Kupwara district on Sunday late night. They said the body of Kaleemullah was handed over by police to the local Auqaf committee who buried him later in the night. A police officer confirmed that the foreign militant was taken to Nagni forests of Wader and was buried there. Both militants were killed in a gunfight with government forces in Babagund village of Handwara that lasted for 48- hours. Five forces personnel including an officer of CRPF and a civilian were also killed in the gunfight and ensuing clashes.